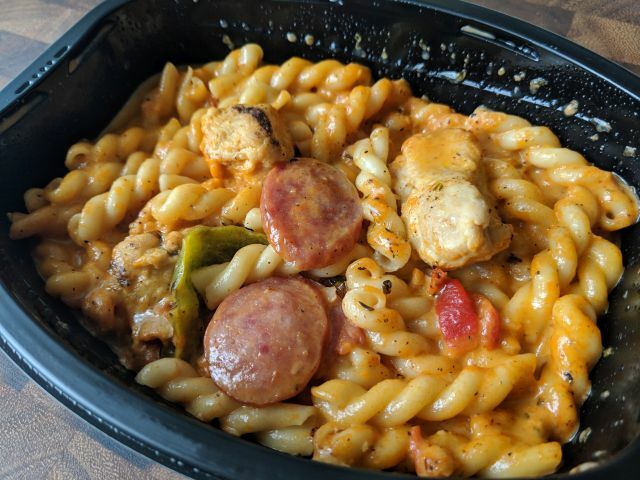 Devour's Cajun-Style Alfredo with Chicken & Sausage features spiral gemelli pasta, smoked sauce, white meat chicken, and roasted bell peppers in a Cajun-style cream sauce. 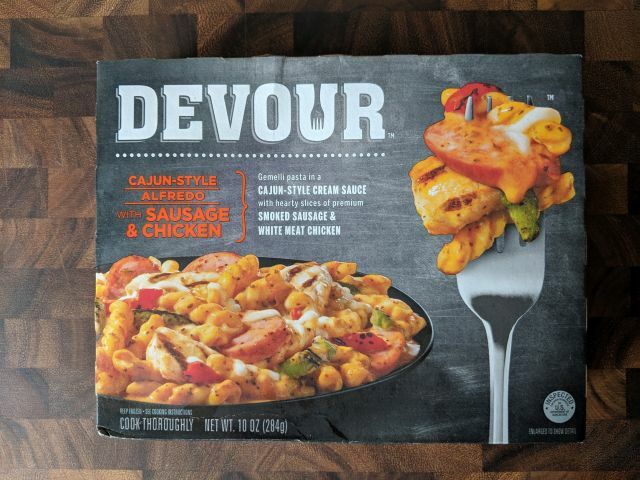 A 10-oz box cost me $3.49. The pasta was very tender but not to the point of mushiness. It picked up the sauce very well. 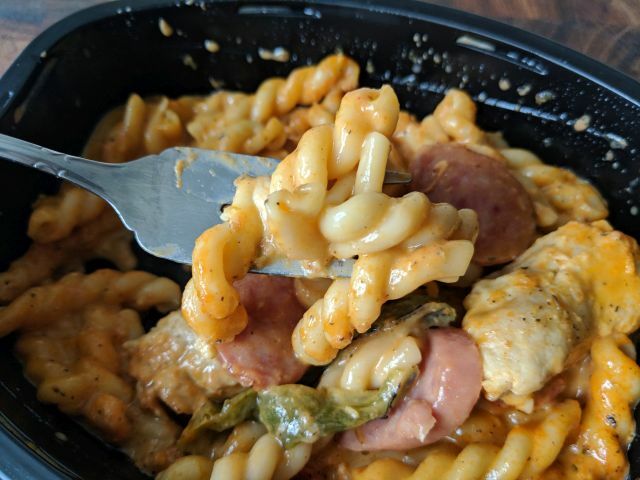 There's a distinct peppery Cajun flavor and a low, slow spicy heat to the sauce to go with a general creaminess and a bit of parmesan bite. There's supposed to be some mozzarella somewhere in there to provide some gooey oozing but I think it just melted into the sauce. As far as meat goes, there were three good-sized chunks of chicken and four slices of sausage. The chicken was juicy, plump, and tender, while the sausage reminded me the typical smoked sausage you find in loops at the supermarket. There were just a few bell peppers strips and they didn't offer much in texture or flavor. 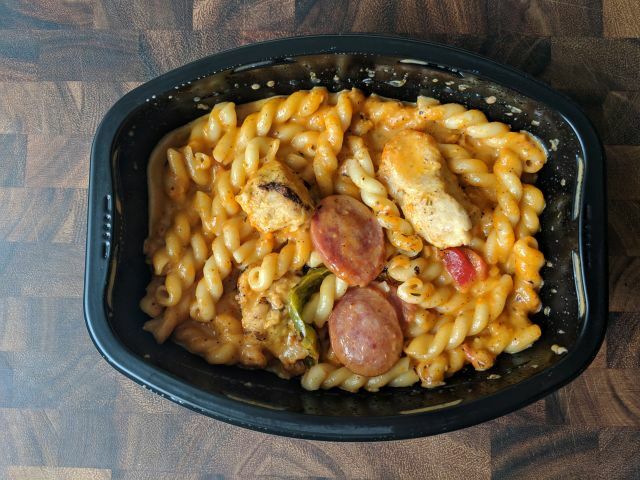 Taken together, Devour's Cajun-Style Alfredo with Chicken & Sausage feels like a mashup of jambalaya and chicken Alfredo that works out rather well. 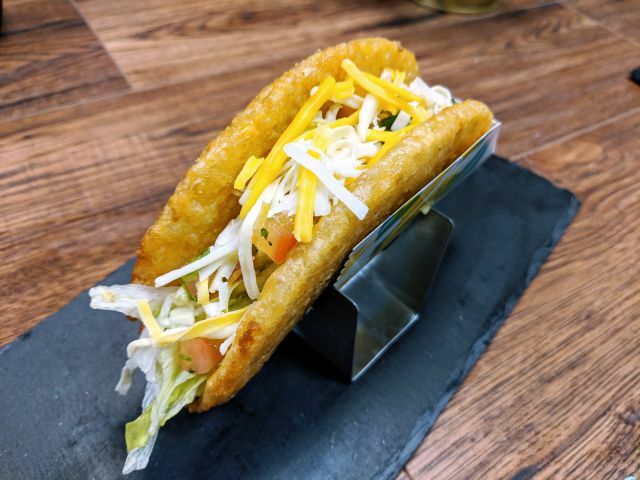 The flavors mesh well together and there's a nice mix of textures to keep it interesting.